Summary: The world was forever altered by a sudden rise in sea levels, dividing the planet into two groups: the powerful landlockers and the sea-faring damplings. Lonely dampling North has only known her life aboard the circus boat the Excalibur with her bear, while landlocker Callanish has chosen isolation and performs burials at seas. When a storm brings the two girls together, they begin to dream for the first time of a brand new world. 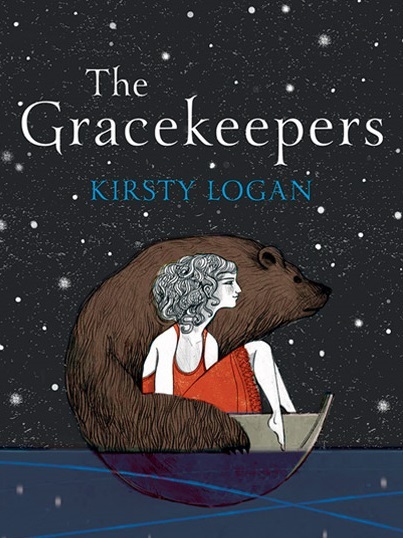 Kirsty Logan’s beautifully written debut novel The Gracekeepers is perfect for fans of mermaids, circuses, fantasy worlds and prose that sings from line to line. It’s set in a fully realized post-apocalyptic world where rising sea levels have destroyed cities and created a brand new landscape dominated by the ocean. Because of this global warming allegory, those who own and live on land (landlockers) have more food and resources and thus more power, while the 99 percent (damplings) are forced to live at sea. Both classes resent each other, with the always hungry damplings being forced to wear bells to distinguish themselves when they’re on land and the damplings insultingly referring to landlockers as clams for their insistence on clinging to the old ways. While damplings prefer seaside burials called restings, deceased landlockers are burned and their ashes scattered at something called the World Tree — pretty fitting since landlockers worship trees, whose numbers have understandably dwindled since the rising sea levels. Dampling restings are slightly more complicated and involve birds called graces who represent grief. When the grace (who is placed in a cage that’s tied to the dampling’s body) dies, the mourning period for that person is over. The landlocker POV is represented by gracekeeper Callanish. She lives alone on a small island in a graceyard and her only human contact is the damplings who arrive to put their dead to rest. The government provides North with graces to perform these restings and to thank her for performing these burial rights, Callanish is paid by mourners in tradeable goods like food and supplies. It’s a lonely life, but one Callanish has chosen to punish herself for past mistakes. 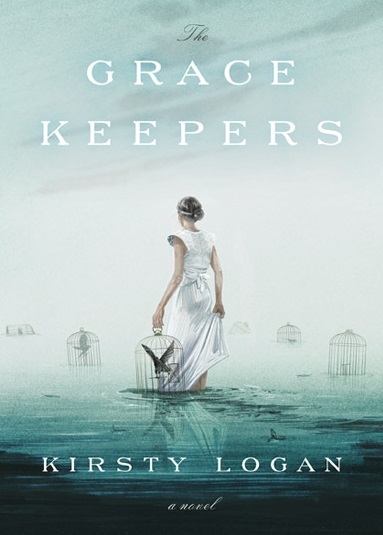 A gracekeeper position may be used as an alternative to time on a prison boat or death — kind of like taking the black. Representing the damplings we have North, an equally lonely young girl who was born and raised on the circus boat the Excalibur, which travels from island to island to perform and make money. After a circus accident leaves her an orphan, North performs with the only thing her parents left her: the bear, a rarity (and in turn a commodity) in her water covered world. Like many parallel elements in the novel (landlockers and damplings, the circus and the religious revival boats — which are the real circuses) Callanish and North are polar opposites brought together by a freak storm and a dream for a better future in a different world. Beautiful Callanish is fearful of touching the water, while not as conventionally attractive North is disgusted when walking on land, which only makes their respective arcs more satisfying when they reach their inevitable conclusion. Callanish and North aren’t the only characters who have POVs — Logan keeps things fresh by giving us glimpses into the minds of the complicated circus family made up of Jarrow (AKA Red Gold, the circus ringmaster), his pregnant wife Avalon and Ainsel, his son who is betrothed to North. We also get a brief look at Callanish’s landlocker mother Veryan and a few other peripheral characters, further expanding the fantastical world Logan created. While both the US and the UK book covers are gorgeous in their own ways, I have to admit that I live for the UK hardback. Vote for which version you think is best over on our Book Cover Battle post and get a more in-depth look at the UK cover in my April book haul.